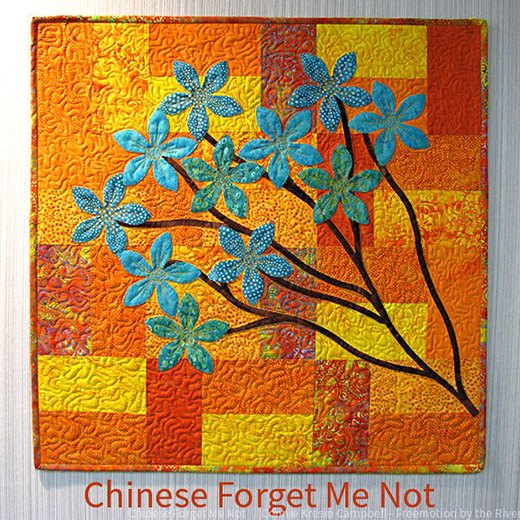 This Chinese Forget Me Not Wall Hanging Designed By Connie Kresin Campbell of Freemotion by the River, The Tutorial is available for free. "I googled Chinese Turquoise flowers and one of the first things I saw was the Chinese Forget Me Not flowers! Perfect name for my wall hanging!"